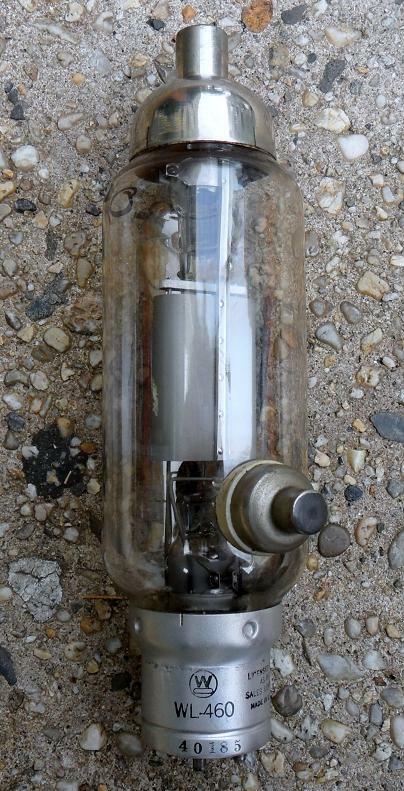 I am surprised that most builders of vacuum tube equipment don’t know about production tube sockets. 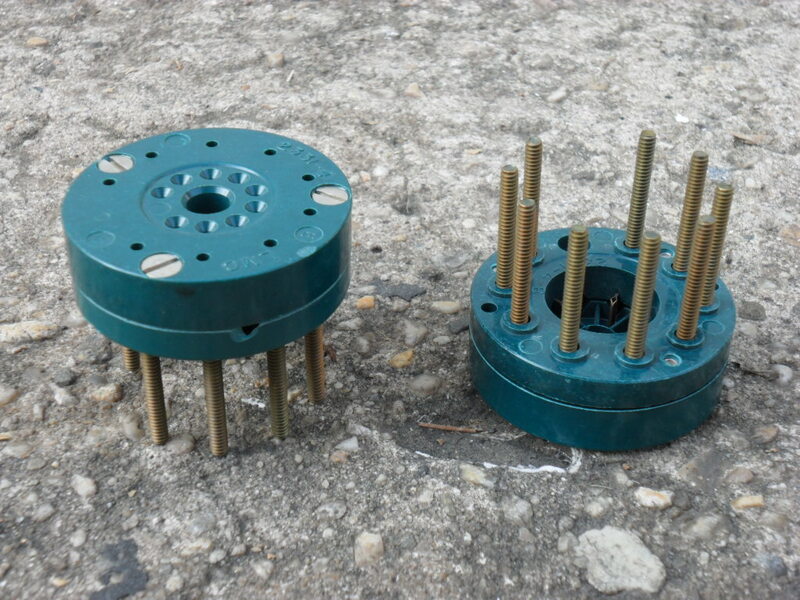 Production sockets are designed for a very large number of insertions and extractions. 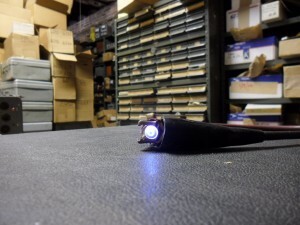 The contacts are extremely rugged and can be replaced individually. The terminals are threaded brass studs. Ideal uses for production sockets are in tube testers, pre-heaters and burn-in fixtures. At Leeds we have a pod fitted with banana jacks that accepts production sockets, of all types from acorn all the way to compactron, for use with Hickok 118A/B tube testers. It saves an enormous amount of time when testing large numbers of the same tube, because the insertion and extraction are smooth and medium to low force. 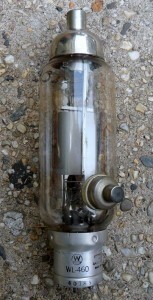 You can test a quantity of tubes in an afternoon that would ruin the regular sockets on a tube tester. 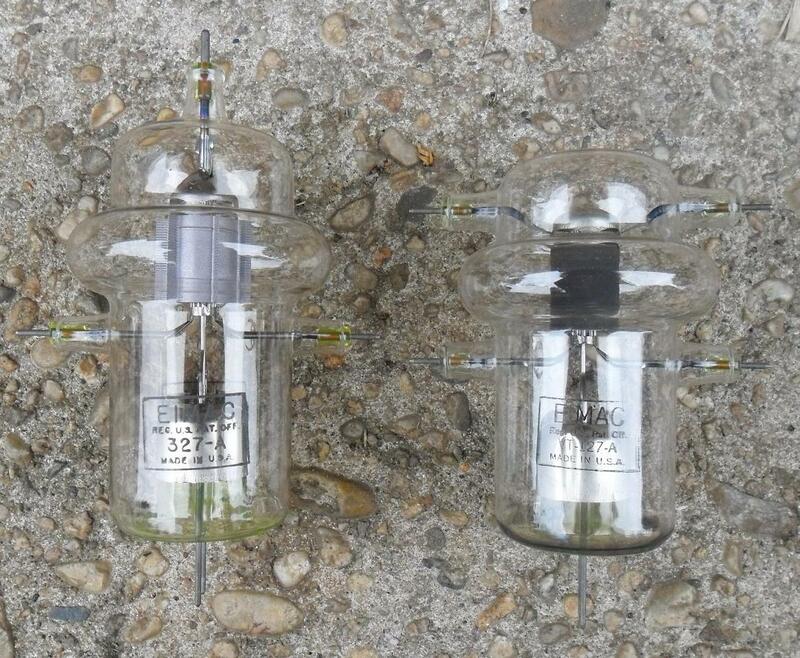 The 127A is the same as the 3-100D2 transmitting triode. Filament is 5 volts @ 10.5 amperes. Max plate ratings: 2000 volts, 210 ma, Pd = 100 watt. If you look closely you can see that the plate is similar to that on the 100T. The top two pins are for the plate connection, the middle pins are for the grid. 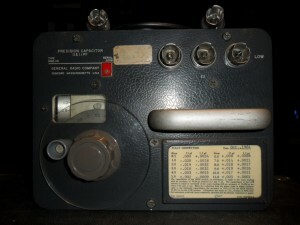 The VT-327A is similar but has only one plate connection at the top. Note the plate looks the same as used in the 304TL. 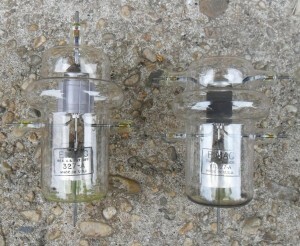 Both tubes have uranium glass at the bottom. A couple of things… High voltage is dangerous. Don’t play with HV when you are tired or distracted Do not Hi Pot and let the DUT arc over for a long period of time.It produces ozone This kind of testing is potentially destructive to the DUT. 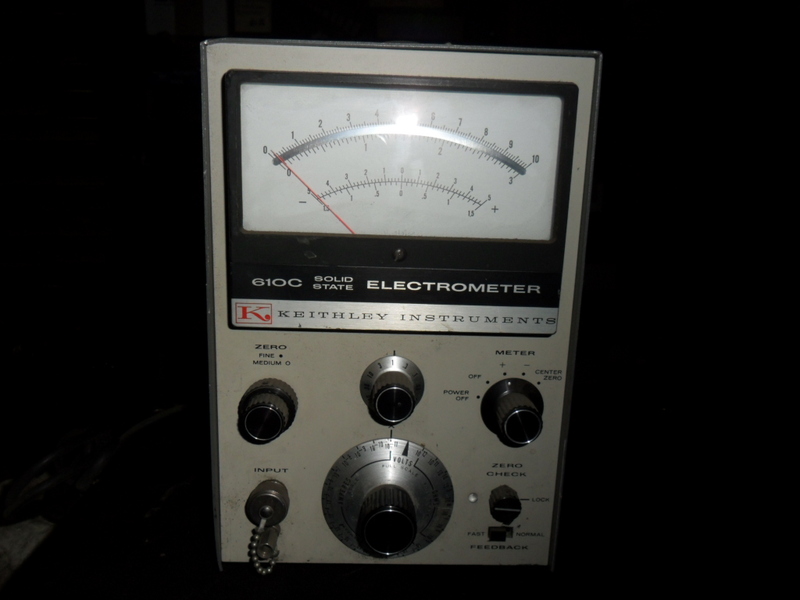 With repeated testing the breakdown voltage decreased. OK. It’s a little modern for Leeds but the 610C does the impossible: it measures resistance, voltage, charge (in coulombs) and current down to 100 pico-amperes full scale – that’s .0001 billionths of an ampere. A wonderful and versatile instrument. 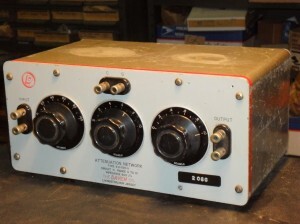 A dozen years ago I used a 610C to study the grid current of common vacuum tubes. I was motivated by the rather informal limits listed on common tube testers. It turns out that “modern” output tubes (6L6, 6550, etc) have grid leakages (gas current + grid emission) of around 1/3 of a micro-amp per watt of dissipation. 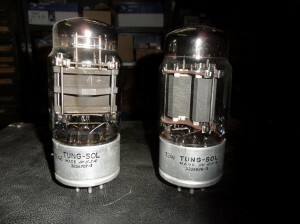 Older ones (211, 845 etc) have up to 1 micro-amp per watt. Eye-opening considering that the Hickok 118A/B and many other common tube testers reject at 3 micro-amps. Clean calibrated 610C’s go for $1000-$2000. One of my favorite pieces of equipment. Unbelievably well made. It’s fairly big; approx. 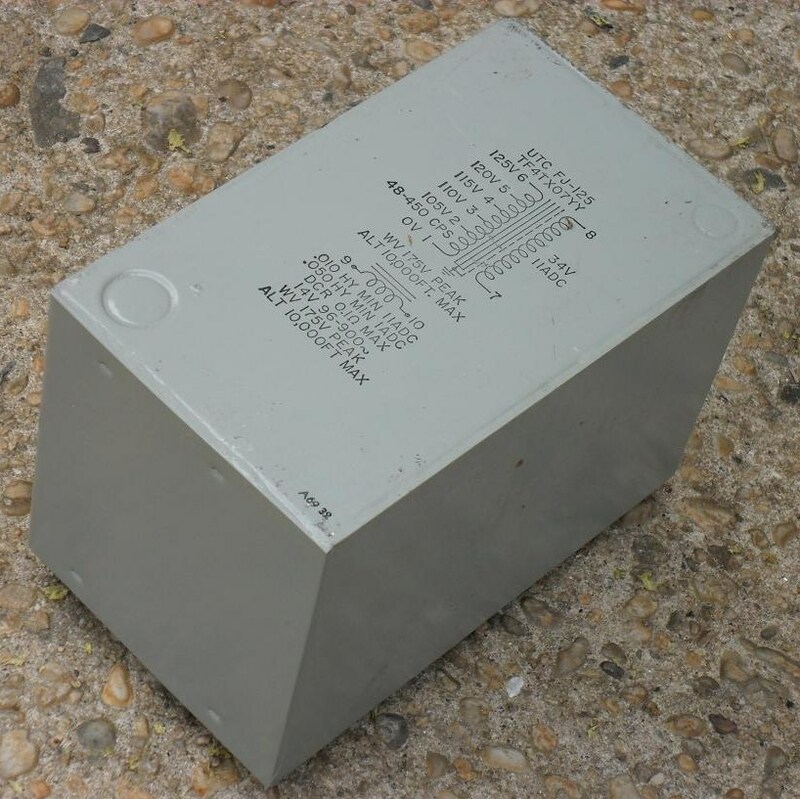 23 cm wide, 18 cm tall and 15 cm deep.You can use it as a 0-1.1 pf or o to 11 pf variable depending on which of the panel mounted 874 series connects you used. The 874 series was developed in the late 1940’s. GR 874 connectors are hermaphrodites – they mate to themselves. Take a look at the cable sitting on top of the 1422. You can still buy a 1422-OD if you have about $11,000 burning a hole in your pocket. A gorgeous part in search of a project! There are about a dozen of these, new and in original boxes sitting around the shop. The FJ-125 weighs 10 kg and is just under 18 cm long. 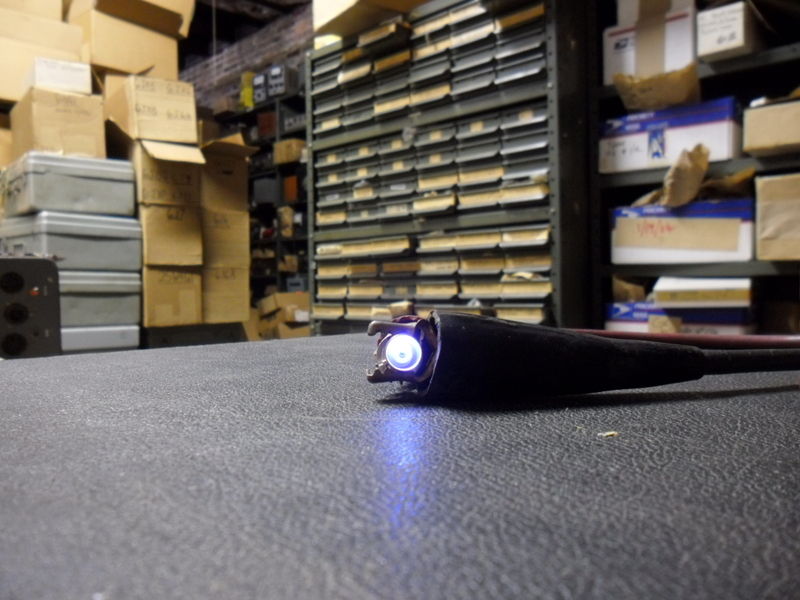 It has a single 34 volt secondary rated, interestingly, at 11 amps DC. Built-in to the case is a “swinging choke.” A swinging choke’s inductance varies in proportion to the current running through it. This allows improvements in power supply regulation. The choke is rated .050 henries @ 1 ampere/.01 henries @ 11 amperes. The case is hermetically sealed and has output terminals that pass through glass seals. There is also an electrostatic shield between the primary and secondary. 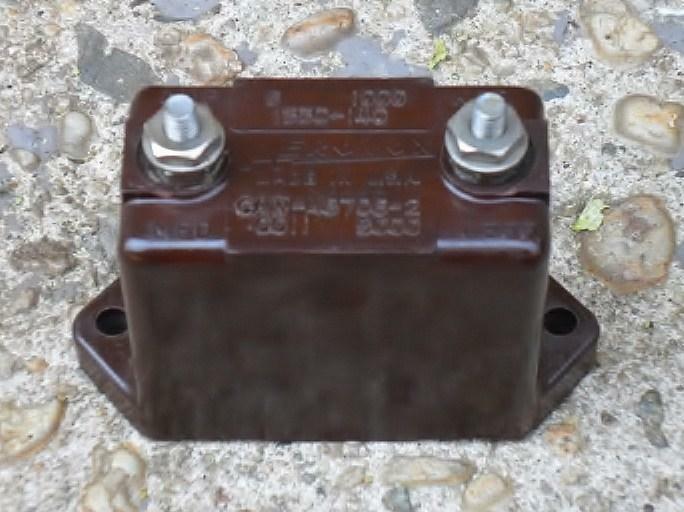 I thought about designing a single-ended transistor amplifier around this transformer. Both have 100 watt maximum plate dissipation. 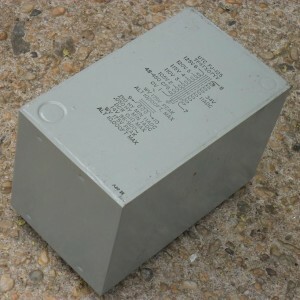 The 7241 has a maximum DC plate current of 1.2 amperes and the 7242, 0.9 amperes. So you are thinking about OTL (output-transformer-less) circuits, huh? Do not let anyone fool you, both of these tubes are pigs. Both take nearly 48 watts of filament power (6.3 volts @ 7.5 amps) and they both require very well designed drivers, as the maximum allowable grid resistance for fixed bias is only 50,000 for the 7241 and 20,000 for the ’42.. On the other hand, they are beautiful beyond belief, and have plate resistances of only 67 and 82 ohm respectively. The basing is JEDEC #A7-17 and they mate with the increasingly hard to find Johnson 122-237 – the same socket that is used for the 813B. The 7242’s transconductance is 110,000 micro-mhos. Oh, do I have your attention now? This has three decks and can give you attenuation from 0 to 111 db in 0.1 db steps. 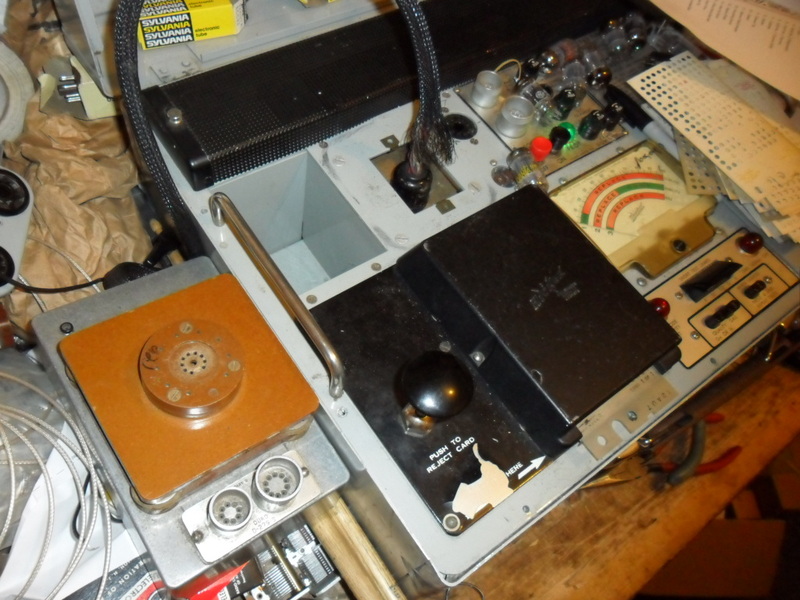 Unlike the Hewlett Packard and General Radio equivalents each deck has 11 steps. The VH-795-G has 600 ohm input and output impedance. Very, very useful on the test bench. 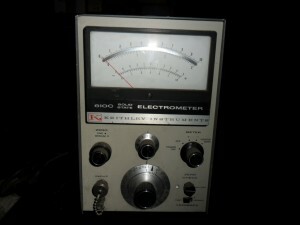 Some mastering engineers use these (and the GR version) as precision level attenuators.